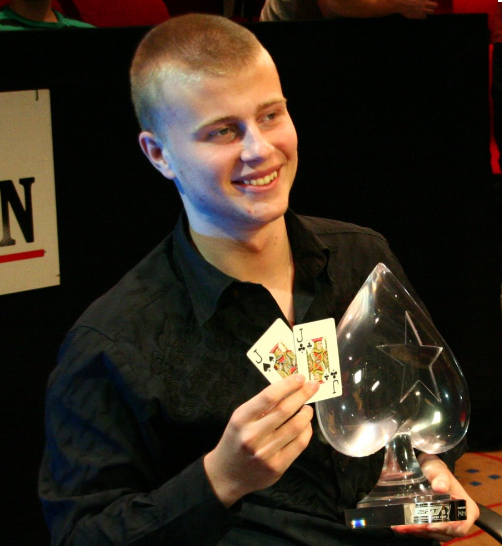 At this point, it’s pretty safe to say that Jens Kyllonen is one of the best poker players in the world. Just looking at his PokerStars results under the name “Jeans89” will reveal that the Finnish high stakes pro has made nearly $3 million in profits. And this doesn’t even include all of the money he’s made on other poker sites! Now that the 22-year-old has seemingly conquered online poker and made millions of dollars in the process, it’s no surprise that he’s looking for new challenges. And the latest conquest that Kyllonen is setting his sights on involves outer space. Only a small percentage of people have ever left Earth’s atmosphere, and most of them are highly-trained astronauts. However, billionaire Richard Branson is giving regular people the chance to visit outer space without spending years training in a NASA program. Instead, they spend a few days training at a New Mexico facility before embarking on a Virgin Galactic space trip. Of course, not just anybody can hop on the space shuttle and hit zero gravity because the cost of this adventure is $200,000. For the average person, affording this price tag means years spent working at a dead-end job, driving a used minivan and penny-pinching. For Kyllonen, $200k is merely a good night on the cyber felt. Based on his comments, it’ll be a couple years before Jens Kyllonen blasts off, so he’s got some time to day-dream about his space trip while grinding in poker games.